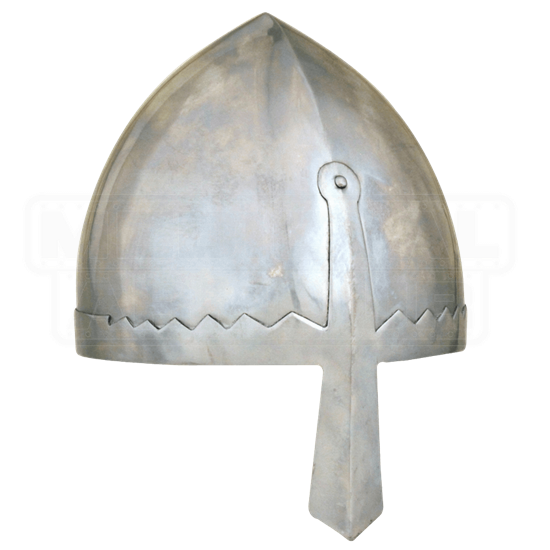 The Economy Norman Helmet carries the name of those who commonly favored this design. And it was favored for a reason, as its general shape creates an effective design that works well at keeping a warriors head safe and protected during battle. The helmet possesses a ridged skullcap design that helps to deflect blows from the top of the head, while also featuring a jagged, reinforced band about the brim. Attached to the helmet in the front is also a nasal guard, which offers an added level of protection to the warriors face, without obstructing their vision. 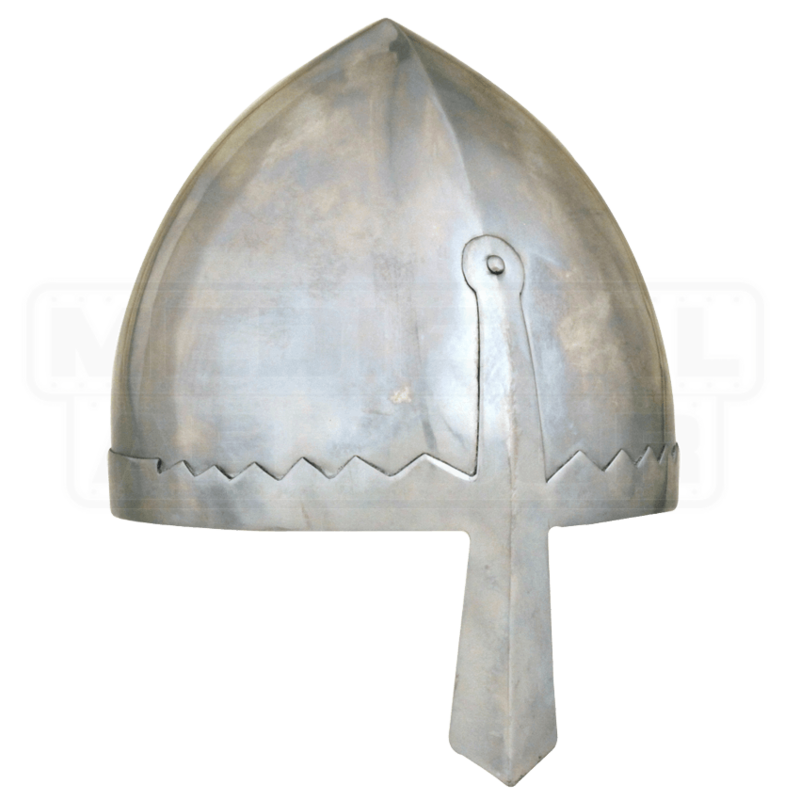 This helmet is made entirely from 18 gauge mild steel. The helmet comes with an internal liner, and is offered in one size. This Economy Norman Helm is from a line of helmets and armors that are designed to be cost-effective, offering the maximum protection possible for the lowest price possible, making each piece a fine bargain to be had, as well as solid protection to wear.